Dr. Megory Anderson founded the Sacred Dying Foundation in 1996. She is trained and skilled in comparative religions and theology. She is the author of the books Sacred Dying: Creating Rituals for Embracing the End of Life and Attending the Dying, as well as numerous articles and chapters on end of life and palliative care. Megory has a rich personal history in religion and theology, formerly as an Anglican monastic in New York. She is well known internationally for her writings and extensive work in dying and death, especially at bedside vigil during the last hours. Megory is a vibrant presence as a speaker, celebrated for her ability to share her knowledge and skills: to connect with, educate, and train end-of-life caregivers and professionals from diverse medical, religious, and cultural backgrounds. Megory is a Research Fellow at the University of Winchester in the UK, and an Adjunct and sometimes Professor at the University of San Francisco and University of California, Berkeley. She holds a doctorate in theology of death and dying at Canterbury Christ Church, Canterbury, England. Archbishop Desmond Tutu is an Anglican Archbishop and one of the world's most visible human rights activists. He was recipient of the 1984 Nobel Peace Prize for his non-violent struggle to end apartheid in South Africa. He was the chairman of that country's Truth and Reconciliation Committee. He continues today to speak out on many concerns of peace and justice, as well as issues of spiritual and social importance. Archbishop Tutu is Sacred Dying Foundation’s official Patron. Denise Etchart Cooper began her nonprofit career in 1989 with The Kevin Collins Foundation for Missing Children, serving first as Executive Director and later as a member of the board of directors. Denise consistently supports many nonprofit organizations, currently including Rocket Dog Rescue and Pacific Rowing Club. She has finished coursework at USF toward her Master of Nonprofit Administration and has worked with Sacred Dying Foundation since 2007. Chris Bennett serves as coordinator of programs and training for the Sacred Dying Foundation. 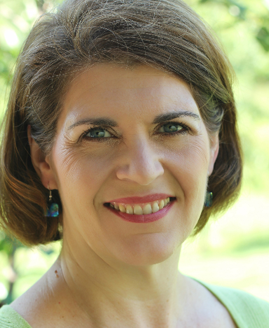 Chris brings more than 15 years experience in training, consulting and curriculum development to her work at Sacred Dying, and is the author of two published career books. She believes passionately in facilitating a change in our society’s approach to the end of life. Together with Mary Matthiesen, Chris developed the Sacred Dying Vigil Program training materials and process, which was piloted in 2004. Bhavnish Kumar is an experienced Digital Designer based in India. His experience revolves around Graphics, Illustrated arts, brochures, books, ebooks, kindles and magazines. He worked for a world-leading publishing house, Cengage Learning Australia, for the past six years, and is now providing SDF with its web, PR, and book designs. Marc Libarle is Legal Counsel to the Foundation. His general law practice is in San Francisco. He also is a Faculty member of New York University, where he specializes in Privacy Law and Intellectual Property. Cheryl Nickerson has over two decades of experience as a Development Director, Program Director and Executive Director of non-profits in the San Francisco Bay Area and San Joaquin County. She has a Bachelors degree in Public Relations/Marketing from San Jose State University and a Masters in Culture and Spirituality at the Sophia Center from Holy Names University. She has worked in hospice and the funeral/cemetery industry and she finds the experience very rewarding. She has been a presence in the lives of people from the dying to families seeking funeral rituals. She feels that the mission of the Sacred Dying Foundation is invaluable and she looks forward to making a big impact with fundraising/marketing and promotion the work of the organization. Jed Gibson has earned the reputation as an accomplished impact organizational leader with experience in sales & finance, acquisitions, profit and loss management, and strategic team building with both start-ups and growth initiatives in the construction and building industries. He is a results-oriented team leader with proven success in mortgage banking, corporate administration, and strategic partnerships. 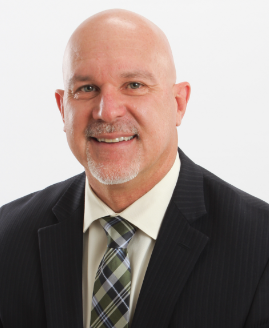 Jed's Six Sigma Black Belt training and leadership roles provide the strong foundation for his extraordinary track record of performance improvement with individuals, and profit and cultural growth in organizations. Jed is from the Bay Area in Northern California and he spends his downtime in outdoor activities with his beautiful wife Lisa and their two Australian Shepherds, Shelby and Portia. 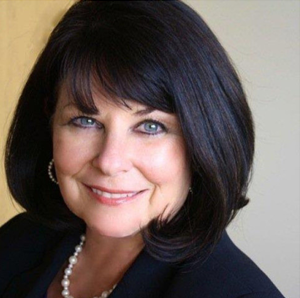 Patty Barnett Mouton has 35 years’ experience in Orange County area healthcare. She has served as the Vice President, Outreach & Advocacy, for Alzheimer’s Orange County since 2005, after volunteering for 5 years as a speaker and support group facilitator, while working in hospice care. She manages community and clinical outreach, as well as the Advocacy and Public Policy activities at the local, state and federal levels. She is active in the Orange County Aging Services Collaborative, and has served as co-chair of the OC POLST Coalition, now known as the OC Advance Care Planning Partners, since 2010. She currently serves on both the CalOptima OneCare Connect and Member Advisory committees, as well as the City of Laguna Niguel Senior Citizens Advisory Committee. She has recently been appointed to the Board of Directors for the Sacred Dying Foundation. She has been a featured lecturer at many national and statewide conferences including: National POLST Paradigm Conference, California Council of Geriatrics and Gerontology, American Society on Aging National Conference and the California Association of Health Services at Home Conference. She holds a certificate in Fundamentals of Gerontology from USC, a certificate in Palliative Care Chaplaincy from CSU San Marcos, and a BS in Human Services from Springfield College. Tom Klein is Chairman and CEO of Rodney Strong Vineyards in Sonoma County, California, and a Trustee at the California Academy of Sciences in San Francisco. Tom served as Chairman of the board of directors of Sacred Dying Foundation for six years. David Robinson served as Associate Academic Dean and acting Dean of the College of Professional Studies at the University of San Francisco. He was the founder and director of the college's Office of Educational Mission and Spirituality of Learning, as well as director of the Interdisciplinary Studies Program. He brings to the Foundation his expertise in integrative organizational planning and educational spirituality, as well as his standing in the religious and academic communities. Lori Worthington is President of Right Angle Advisors, a consulting firm headquartered in Kansas City, MO. She leads business and product development initiatives as well as consulting operations for the firm, drawing on her 30+ years’ experience in technology, insurance, healthcare and organizational change. Lori established Right Angle Advisors in July 2013 after leaving a global consulting firm’s national employee benefits group where she had served as a leader for more than a decade. She is uniquely positioned to help organizations successfully influence and activate healthcare consumers (employees, members, patients, caregivers, communities) as well as facilitate organizational performance through change management. She received her Bachelor of Science degrees in Organizational Communication and Communication from Drury University. Known as M. Macha NightMare, P&W, Aline O'Brien is an internationally published author, ritualist and interfaith activist. Co-author with Starhawk of The Pagan Book of Living and Dying, she currently serves on the Board of Cherry Hill Seminary, the first and only seminary serving the Neopagan community. Linda Giglio has been a volunteer with hospice organizations for over fifteen years. Through her work with the dying on behalf of the Hospice of Napa Valley, Sacred Dying Foundation and Lake County Hospice, Linda has become well known in her small community as an indispensable resource who is frequently called upon when someone faces the end of life. Currently an on-line bookkeeper, Linda’s professional background includes a ten year stint as co-owner of the Catahoula Restaurant & Saloon in Calistoga, CA, law firm administrator, and dance school owner. LYN M. FRASER, M.F.A., D. MIN. Lyn Fraser currently serves as chaplain for the Hospice and Palliative Care Program at the V.A. Medical Center in Grand Junction, Colorado, and has also worked as a staff chaplain for Hospice and Palliative Care of Western Colorado. She is the author of two books on the psalms: PRAYERS FROM THE DARKNESS, THE DIFFICULT PSALMS (Church Publishing) about the psalms of lament and pastoral care; and WATER FROM THE ROCK, FINDING GRACE IN TIME OF GRIEF (Paulist Press), a collection of open-ended reflections on the psalms for persons who are grieving. She holds a Doctor of Ministry degree from the University of the South and a Master of Fine Arts Degree from Bennington College. 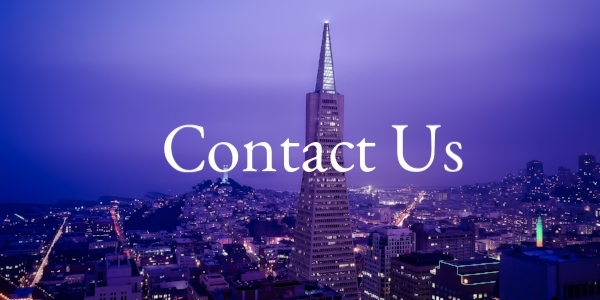 Megan Yip is an estate planning attorney in the San Francisco Bay Area. She started her legal career as a fellow with the Borchard Foundation Center on Law and Aging working with Legal Aid of Marin (California) to expand legal services for low-income older adults in Marin County. Her interest is in helping Sacred Dying develop models that will help families and communities walk through practical details of death and dying. She is also a specialist in Digital Death. Marisa Nelson is the principal attorney at the Law Office of Marisa Catherine Nelson, a virtual law office. Her practice offers a personalized approach to estate planning (wills, trusts, health care directives, and powers of attorney), LGBT legal issues, and contracts drafting and review. She provides advice to the Foundation and the people it serves on the legal aspects of death and dying on an as-needed basis. Steven Overman designs and leads global marketing and brand communications programs that align the whole organization with its brand promise. He is currently the Chief Marketing Officer and Senior Vice President at Eastman Kodak Co. Steven is the founder of Match & Candle, a consultancy supporting startups and marketing service agencies with brand strategy development. Early in his career, Steven was a multimedia artist whose photographic and motion picture work was exhibited at leading international galleries. He also was the director's assistant for the 1993 Academy Award-winning film Philadelphia, supporting all aspects of the film's creative development and production. He is a frequent public speaker and has often lectured at the Judge Business School at Cambridge University. A business and design commentator, he has been quoted in Wired, New York Magazine, The Industry Standard, Business 2.0, and Fast Company, and he has presented at The Conference Board. Daniel Brewbaker is an award winning classical composer and conductor. His Cello Concerto, "La Serenissima," is featured in Chapter 8 of the book Sacred Dying. He has held teaching positions at The Juliard School, Hunter and Queens Colleges, St Stephen's School in Rome, and the Westminster Choir College. Dr Brewbaker has lived and worked extensively abroad, and currently resides in Manhattan. Daniel died on Sunday, May 14th, 2017 of brain cancer. May he rest in peace and may his music live on. Ann Wright was an honored clinical social worker, working in the field of HIV/AIDS since the early 1980’s. She had been on staff of the Owen clinic at University of California, San Diego, a clinic that exclusively treats AIDS patients, and also provides psychotherapy and supportive services to patients who are homebound. Ann was instrumental in her work in helping the AIDS community deal with issues of the healthcare system and of death and dying. RIP. Our long time friend and advisor died on November 21, 2013. Ann was a pioneer in care for the dying, especially during the HIV/AIDS epidemic. She was an extraordinary person and we will miss her presence among us. God be with you, Annie. Steve died on March 28, 2007. We are forever grateful for his help and support. May he rest in peace.